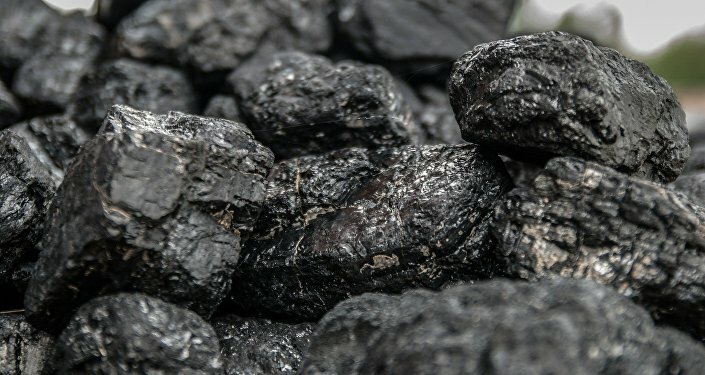 The United States has almost tripled the price for coal exports to Ukraine against the previous year, according to a report by the US Energy Information Administration. The current price is bad for Ukraine's struggling economy, but Kiev wants to make deals with the US in a bid to gain political support. Since January, Kiev has been buying American coal at $206 per short ton, while the price in 2016 was $76. However, coal shipments from the US to Ukraine have more than doubled, 865,000 tons in the first quarter of 2017 against 355,000 in the same period last year. At the same time, the US has lowered the price of coal for certain countries. For example, Norway is buying American coal at $125 per short ton, 10 percent lower than in 2016. Ukraine's supplies of coal started running out in early 2017, when pro-Kiev radicals blocked off supplies from the coal-rich Donbass region, the site of a frozen conflict between Kiev and local pro-independence militia. Kiev introduced emergency energy-saving measures in February, and formally endorsed the blockade in March. Radicals have since threatened to cut off supplies from Russia, too, and Ukrainian officials have announced plans to completely halt the purchase of coal from Russia. The issue of coal supplies was one of the main topics discussed during Ukrainian President Petro Poroshenko's visit to Washington in June. Following his talks with US officials, the Ukrainian leader said that Kiev was "excited" about the possible purchase of two million tons of coal from Pennsylvania. Later, it was reported that price will be the subject of further negotiations between Kiev and Washington. Commenting on the terms of the deal, Ukrainian Foreign Minister Pavlo Klimkin said that the price proposed by the US was "competitive." "The talks are underway. It is important that we could buy anthracite not from Russia or the occupied territories [Donbass]. The price proposed by Washington is very competitive. I think it’s better to buy coal from friends than anyone in the market," Klimkin told journalists. In turn, the Ukrainian Energy Ministry said that the first coal shipment from the US is expected to arrive at the end of summer. According to the ministry, the first shipment will be 120,000 tons and future shipments will be discussed at bilateral talks. In an interview with Radio Sputnik, Sergei Pikin, head of the Energy Development Fund, said that last year global prices for coal were lower than at the current moment. However, negotiations play an import role in setting the price of a contract. "If there is a buyer who wants to pay, for example, $200 per ton, then why not? It fully depends on negotiations. Of course, there is some market data but the final price depends on the result of bilateral negotiations," Pikin said. The expert suggested that there might have been some additional reasons behind Kiev’s decision to buy coal at a higher price, for example receiving a loan to pay for the shipments. "Ukraine has a restricted scope for political maneuvering. Kiev has to show its maximum loyalty to the current US government. This is why Ukraine would buy energy resources at any price. But the question is where they will find the money. As an option, they could dive into taxpayers’ pockets, including with increased tariffs," Pikin said. 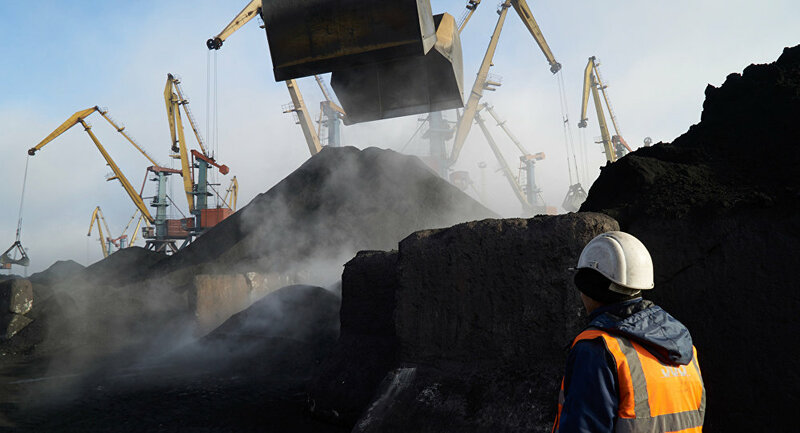 Meanwhile, Ukrainian economist Oleg Soskin, head of Kiev-based think-tank the Institute for Public Transformation, said that the Ukrainian government could have made a much better deal in the coal market. "The price has dramatically increased. Of course, such a contract [with the US] is bad. There are a lot of other coal producers around the world. It is no problem to find cheaper coal," Soskin told Radio Sputnik. The economist suggested that Ukrainian businessmen and oligarchs, including Rinat Akhmetov, may be involved in some fraud scheme with coal shipments, since the coal from the US is purchased mostly by private companies.